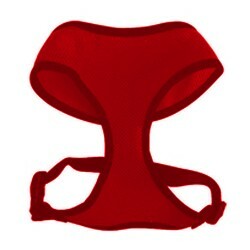 Product Information -Yup Comfort Harness An elastic webbing harness that is made from the softest material so that your dog is comfortable on his walk. The fabric is breathable and the harness is compatible with any leash. Comfortable fit. Easy adjustable. Easy to clean. Easy to wear and take off.